Magento is one of the most popular e-commerce web applications on the net, thanks to its ability to host multiple stores via the same instance and manage a large number of products and attributes. 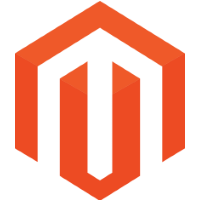 Our outsourcing services for Magento range from installing your server, with optimized configurations for better performance, to infrastructure design for high traffic sites. Installation of Magento on a VPS or a dedicated server with an optimized configuration based on Nginx PHP7 & MariaDB. Auditing the performance and security of your site, designing and deploying infrastructure for high traffic sites.